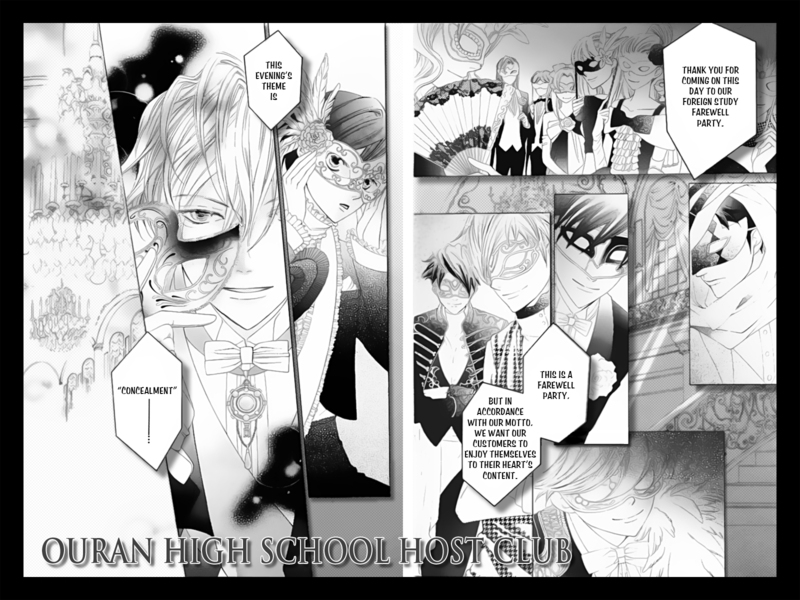 We had another bumpy start this month with computer crashes and family emergencies, but somehow we managed to release 7 chapters of manga including the last chapter of "Ouran High School Host Club"! Thanks to all of the Omari's Sister crew for a great September! Moving onto October...we have a new cleaner, Suzume. Welcome Suzume! She will be working on "Pika Ichi." We only have 6 chapters planned, but I will be making a push to catch up on "Magnolia." 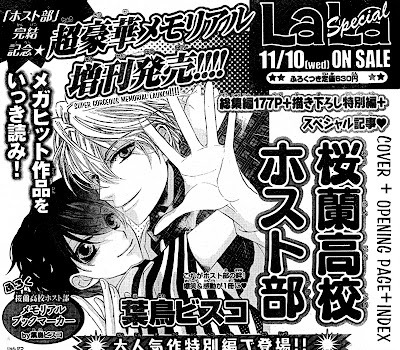 We also have the last chapter of "Zettai Heiwa Daisakusen" coming out this month. I feel a mixture of happiness and sadness about this. I will definitely miss the adventures of Johanne and Yuda. For the latest information, please check the release schedule. At last! 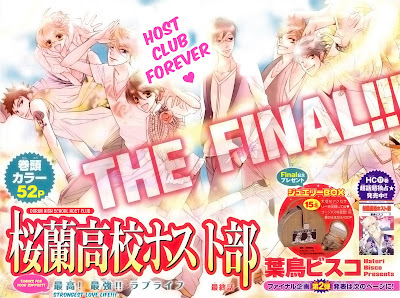 Here is the final chapter of "Ouran High School Host club." I'd like to thank everyone for hanging in there with me for the last 12-chapters of this series. I've come along way as a translator and an image editor since I reluctantly started this series last year. 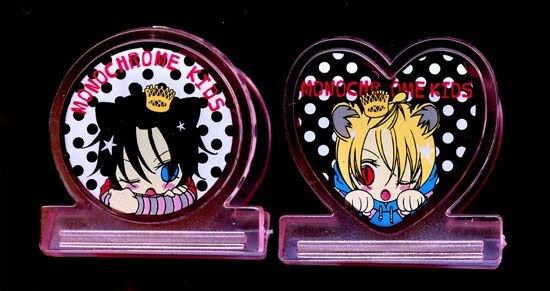 If you enjoyed Ouran and want to reread it, I encourage you to purchase the manga in Japanese or in English. In the US, volume 1 - 14 are available from Viz. Here's a convenient link to my Amazon store where you can purchase all the available volumes of Ouran from Viz (currently, there's a 4 manga books for the price of 3 deal going). 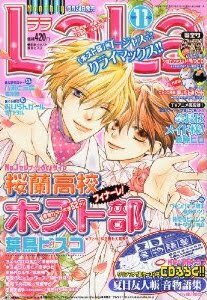 At least buy a volume or two to let Viz know you like Ouran and that you want them to continue providing us with similar manga series. Plus, if you buy from my Amazon store, I'll receive a tiny referral payment. As for the Japanese version, I recommend purchasing from YesAsia or Amazon Japan. I think buying the Japanese version will more directly help the mangaka. Akadot also has volumes of the series available, but their pricing is way too high for me to recommend them for this particular series. 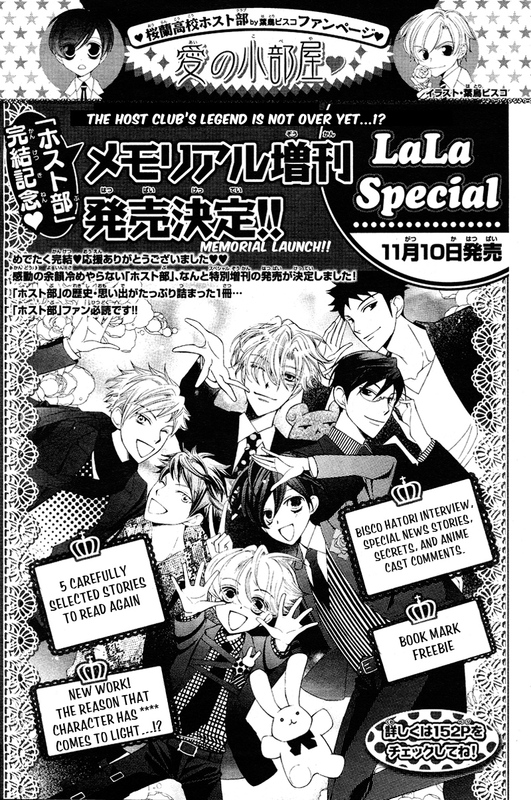 And finally -- yes, I will translate any new content that appears in the upcoming Lala Special and if there is a following-on series or special Ouran stories in any of the Lala affiliated magazines, I will translate those as well. Also, I will be purchasing volume 18 in Japanese for the bonus content and if there is more comic material, I will translate it. Also, as for retirement of the series, it will happen as scheduled at midnight October 31st. All follow-on content will also be posted for only a month. I'm still waiting for a second proofread on Ouran chp 83 before I officially release it. While you're waiting, here's a treat! I don't see a listing for "Kimi ni XOXO" previews for Lala 12 and I haven't found any news about the continuation of the series. So, it appears that this series is on hiatus or will be left undone. I will update the status as soon as I learn anything new. It will most likely be ready in less than a week because I managed to get a nice clean scan. If you can't wait until then, I'm sure there will be a "fast" version to read earlier :). Regardless, I will be taking my time to give this last chapter a very polished look and to do my best with the translation. So, please have patience with me. I promise you will be very pleased with the ending :). Shinobi Life Volumes 1 - 5 (5/5) -- HIGHLY RECOMMENDED. YOU MUST OWN THIS SERIES TO READ IT OVER AND OVER AGAIN. IT IS A DRUG!!! If you are interested in purchasing any of these books, please consider purchasing them through the Omari's Sister Amazon Store. The first 5 volumes of "Shinobi Life," "Alice in the Country of Hearts" Volume 4, and "Stepping on Roses" Volume 2 are all currently discounted! All are books lightly used and decently priced. I'll discount your shipping if you buy multiple volumes. 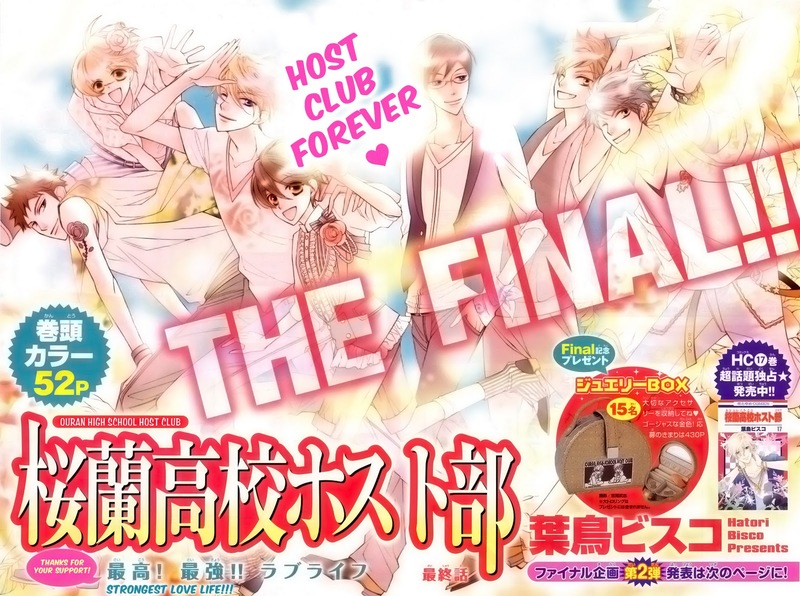 Okay, this time I promise the final chapter of Ouran is up next followed by "Junketsu + Vampire." Here it is! Magnolia! There's so much good stuff coming from Aria magazine! It so hard to choose which ones to do. I think, though, looking at the upcoming schedule, until another series ends, we can only do 3 of the 4 series from Aria that we've trialed. My current thought is to put off "Iiki no Ki" until the schedule loosens up. Let me know what you think. Next up is the final chapter of "Ouran High School Host Club." 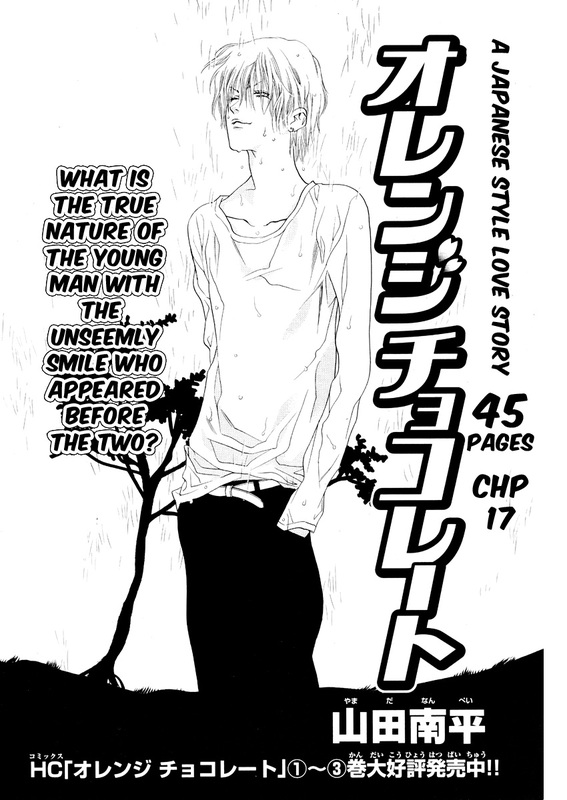 Until I get the raw, I will be working on "Orange Chocolate" chapter 17. Here's a little preview of "Magnolia" to get you ready for what to expect. It hasn't been QCed or proofread yet, so this may not be the final version. Please open the entire blog entry to view the preview. I suppose it's good enough to release with only one proofreading. If some other errors are pointed out, I'll update the files. 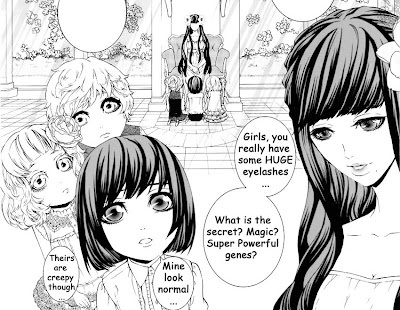 Anyhow, this chapter is very funny. I love the confidence Amane exudes in a skirt. He's got a fabulous "supermodel pout." We also see more of the super handsome Ookami the Black ;p. *doki, doki* I feel a frivolous survey coming on :). Next up is the a very funny comedy series called "Magnolia" Looking at my schedule, I think the group will have to choose between doing "Magnolia" and "Iiki no Ki" or one of them will have to have a bi-monthly release. 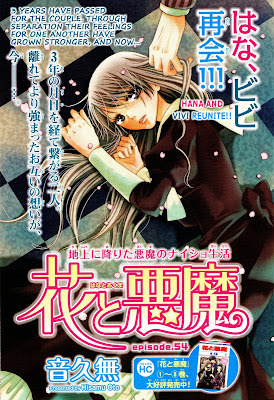 I'm very partial to "Magnolia" and it's more in line with what we usually do at Omari's Sister, but I am willing to give "Iiki no Ki" a 3 chapter trial to see if it's going anywhere good. Finally! 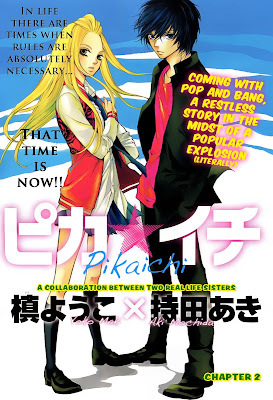 Here's "Pika Ichi" chapter 2! I really like this series so we will be taking it on as a project. Tarou is awesome! I'm still in the depths of PC woes, I'm pushing back Seirei Produce chapter 5 to give me time to resolve my problems. A cautionary tale to everyone: not all scanlators are nice. Some are baiting you with manga to do very bad things to your computers. Please run "no script" through whatever browser you're using. Thank you all for your support and patience. For the latest on our progress and the release dates, check the release schedule. 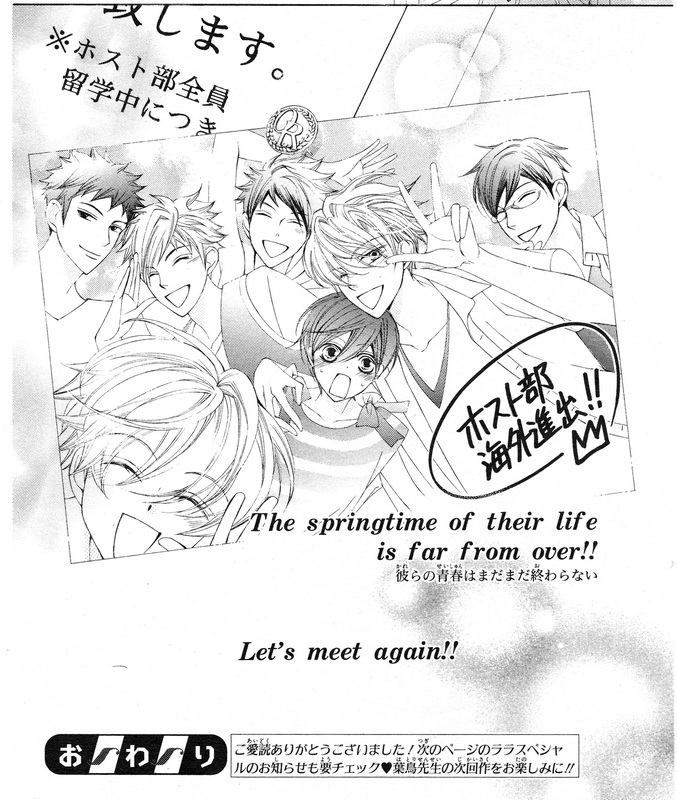 After chapter 6 "Seirei Produce" is on indefinite hiatus. I checked the mangaka's website and I didn't see any information on when the series will resume. All it said is that the series isn't finished. We will complete the translation through chapter 6 and then resume the translation once the series starts up again. Hopefully, it won't be too long so people don't lose complete interest in the story. The series will be replaced by one-shots until it resumes. I got Hana to Yume Issue 19 today. 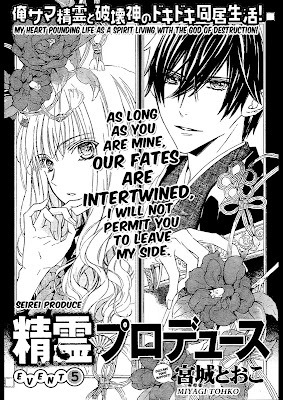 Here are a few of the key pages that summarize the events in "Hana to Akuma" Chp 54 (Sorry for the ever changing summary that I wrote earlier). There's nothing about how many chapters are left in the series. Other news: there's a new volume of "Hana Kimi" coming out. 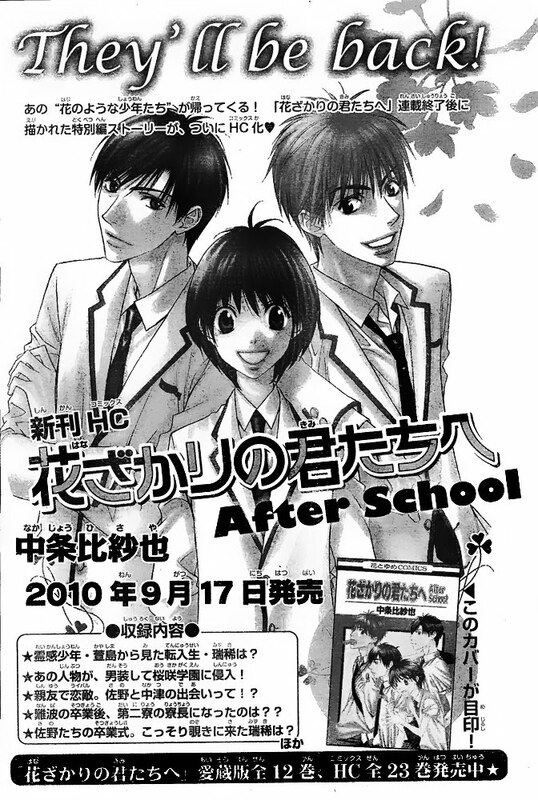 It's called "Hana-Kimi: Afterschool." It appears to be a compilation of the extra stories that came out after the official end of the series. I wonder if this means there will be a Viz version for the US? That would be wonderful :)! Finally, a real vampire! Hopefully, this series won't go rambling off into the weeds and thicket like "Vampire Knight." I like the two main characters in this series and the artwork is a real pleasure to edit. As I said in the teaser, I will continue translating this series. 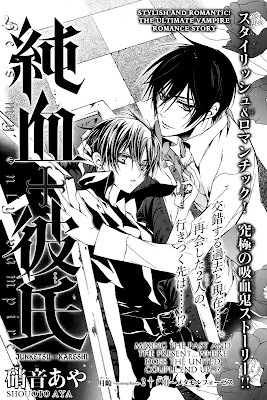 Next up is another new series from Aria called "Iiki Noki." Our new member, Blottyparchment did the translation. I will do the English adaptation. It should be out in a 3 - 5 days.